The idea of wrapping up meat and vegetables in a dough or pastry and then cooking it is something that is found all over the world, and with very good reason – whether you call them empanadas, calzone, samosas, öçpoçmaq, panzarotti or pastels, these parcels of food are invariably tasty and satisfying. In Britain, we have our own take on pastry-wrapped meat and vegetables, which can be readily found in baker’s shops across the country: Cornish Pasties. There are many different varieties of pasty, and you’ll find all sorts of fillings on offer, ranging from a traditional meat and potato to the slightly less authentic chicken tikka, with cheese and onion pasties providing a common vegetarian option. Of course, whilst all these pastries can be correctly called “pasties”, they aren’t necessarily “Cornish pasties”. 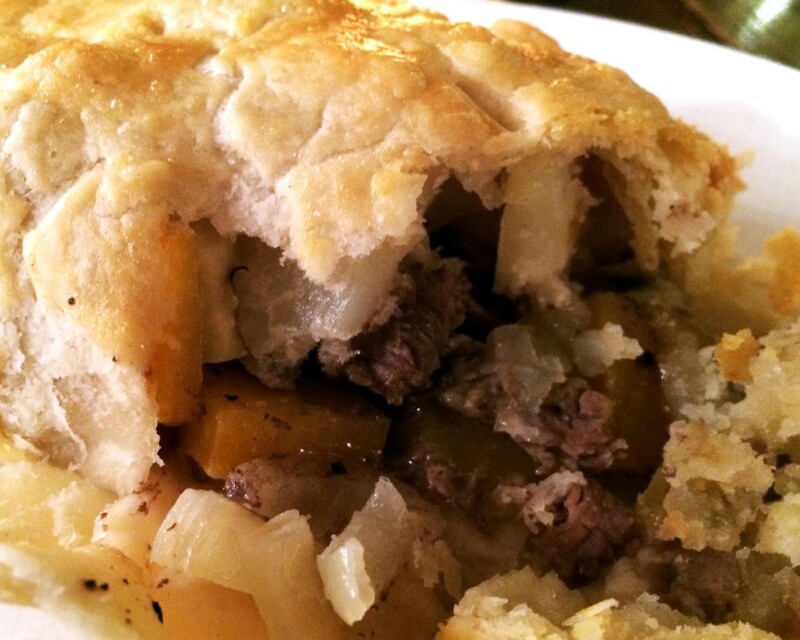 For many years, people debated exactly what constituted a “traditional Cornish pasty”. Most agreed that the filling should be made up predominately of beef and potatoes, but should it also contain swede? Was onion allowed? Should the pasty be sealed along the edge, or across the top? The debate raged amongst pasty lovers, each sure that their own personal preference was the “correct” one. Finally, in July 2011, the matter was settled once and for all. The Cornish pasty was awarded Protected Geographical Indication status by the European Commission. This means that to be allowed to describe your pasty as “Cornish”, you must adhere to strict criteria. According to the Cornish Pasty Association, “A genuine Cornish pasty has a distinctive ‘D’ shape and is crimped on one side. The texture of the filling for the pasty is chunky, made up of uncooked minced or roughly cut chunks of beef (not less than 12.5%), swede, potato and onion and a light peppery seasoning.” Most importantly, the pasty must be made in Cornwall. So, for Anya’s next challenge, she must make an authentic Cornish Pasty. For the purpose of this challenge, we’ll ignore the rule saying that it must actually be made in Cornwall, but all other rules defined by the Cornish Pasty’s Protected Geographical Indication status must be adhered to. For the second part of the challenge, Anya must make a pasty of her own devising. The pastry wrapping should be similar in character to the Cornish pasty, but she may use any filling she chooses. Part 1: Make an authentic Cornish pasty. Part 2: Make an alternative pasty containing a filling of your own creation. Enter your email address to subscribe to Challenge Anya and receive notifications of new posts by email.